Your One-Stop for reviews of free and legal (DUB) Reggae MP3 files. We review tracks, albums and podcasts. Everything is hand-picked and reviewed on the basis of experience in this field since the MP3 format was released in the late 1990's. Some music released through Creative Commons Copyright can be downloaded straight from the Dubroom Server. Browse by artist, track, album or podcast. Be sure to check out our spotlight as well. 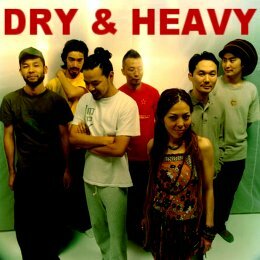 In 1991, drummer Shigemoto Nanao (aka Dry) and bass player Takeshi Akimoto (aka Heavy) formed a band which they called after the classic Burning Spear album. There they were, at the start of what would become decades of being Japan's foremost DUB collective. Dry and Heavy recorded a couple of albums, one of which was mixed by Prince/King Jammy's. Their sound is very much focused in Jamaican Rockers Reggae fro the 1970's, allbeit that they do incorporate contemporary technologies as well.